Aalii is a new condo project coming to Kakaako's popular Ward Village, which has been named best-planned community in the US by Architectural Digest. Aalii will break ground October 15, 2018 after being close to 80% sold. 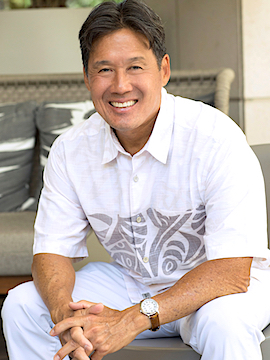 If you are possibly interested in purchasing a residence at Aalii please call new condo project expert Kristian Nielsen (RA) at (808) 372-6184 or email Kristian@HawaiiLiving.com. It is all about "Smarter Living" - less interior square footage, creative furniture and a focus on living your life outside your condo walls (enjoying amenities, nearby shops, restaurants, beaches, yoga classes, events etc). Check out this video on YouTube talking about the Smarter Living concept. Maintenance Fees: $1.01 / sf (estimate). Experience Ward Village’s latest LEED-certified property located in the dynamic community of Ward Village. 'A'ali'i Designed by SCB architects is simply a joy to come home to. Unit 204, a 2 bedroom/2 bath 1 parking corner home with Lanai embodies creative, contemporary, and elegant, finishes, cutting-edge Bosch appliances and amazing ocean views. Penthouse level amenities provide Lanai 42, a full-floor oasis for relaxing and socializing – with gorgeous 360° views of land and sea and a state of the art Fitness center. Located in the center of Ward Village, 'A'ali'i provides immediate access to a vibrant, planned Central Plaza, world-renowned restaurants, unique local retailers, state-of-the-art movie theaters, a flagship Whole Foods Market, and free community events. 987 Queen St #214 - listing courtesy Locations LLC.